Sometimes you just have to grab an important birthday denotation by the horns and plan a celebration yourself. Sound egotistical? Not really. When a landmark birthday approaches, particularly ending in a year with a zero, you reflect on your life, you discover your longtime friends and family were the joys along the way. To insure your landmark in the highway of life is not neglected you can organize your own celebration for not just for your life, but for the people along the way that have shared it with you and supported you through the decades. This is what I did six months ago as I was surprised that a multiple decade birthday would be here next June. I started making a hand-written list of the people that I thought might like to attend and could attend taking in to consideration that some are almost a continent away, and some may not be in good enough health for an extended event. Then I thought to myself what I would like to do in a long weekend of events that I would enjoy, and as importantly could afford? I came up with a Friday night come and go cocktail party in my garden and home, a Saturday brunch, and Saturday evening entertainment and a Sunday morning brunch, knowing some guests might need to catch a plane or get back home early. I tempered this idea with my meager budget and decided to let the guests pay their own way at dinner events. This ala cart method is not unheard of and gives the guest the opportunity to choose the food they would most enjoy, what their budget allowed, and in a way was their gift to me. I included this information in a multiple page hard copy invitation, four to six weeks before the weekend, to enable them to “save the date” and to reply with their intention, the names of their guests and what events they would be attending, in a deadline announced RSVP SASE reply sheet. In this day of email, I was afraid that many would not use the hard copy reply sheet to let me know their intentions, but ninety percent did just that. This gave me a written page account I could tally and record. I even asked their adult beverage preference so I could have it on hand for the garden cocktail party. 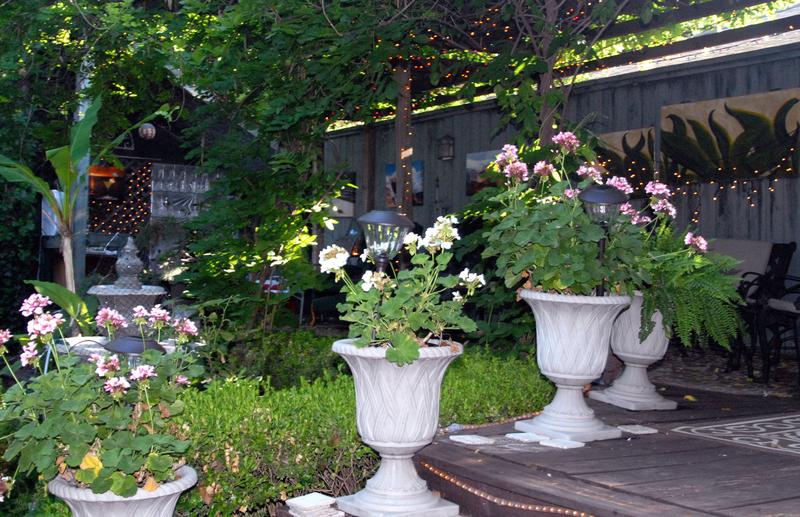 The Friday night garden party would take the most planning and preparations but was happy to share the enjoyment of my garden and my collectible cluttered house with those congenial friends I had not seen in years. I would serve all in crystal glass ware.. No red solo cups – this was not a college style bacchanal. As the weather predicted record breaking temps for my 7 pm event I purchased a number of fans for air circulation[T1] [T2] in the house and out on the deck. These seemed to do the trick, as I was the only one affected by the heat. Months before I had also purchase a mosquito killing machine that cut down on those pesky party poopers. To insure the safety of my evening guests in my “transitional neighborhood” I hired an off-duty policeman to patrol the parking lot. After all one must foresee what might mar the guest’s party remembrance. No drinks without food, so I offered a homemade spinach and avocado hot dip, a favorite spice cake, strawberries and grapes, a variety of cheeses and dips along with a tray of vegies and good ole Southern pimento cheese spread. For my Celebratory Saturday Bruch I chose Oklahoma City’s newest contemporary hotel, 21c Hotel, (https://www.21cmuseumhotels.com/oklahomacity/) as well as for my host hotel for out of town visitors. The event managers are a joy to work with especially when you have special requests for a memory video screen, music, table arrangements, and preparation for my gift bags and table top party favors of an original small canvas abstract painting I did. Free valet parking for my guests was a boon and with an ideal installment plan to reserve the private dining room, all was ideal. The gathering was greeted with a fluted orange juice or bubbly which was offered next to the 21c hotels’ static penguin mascots. 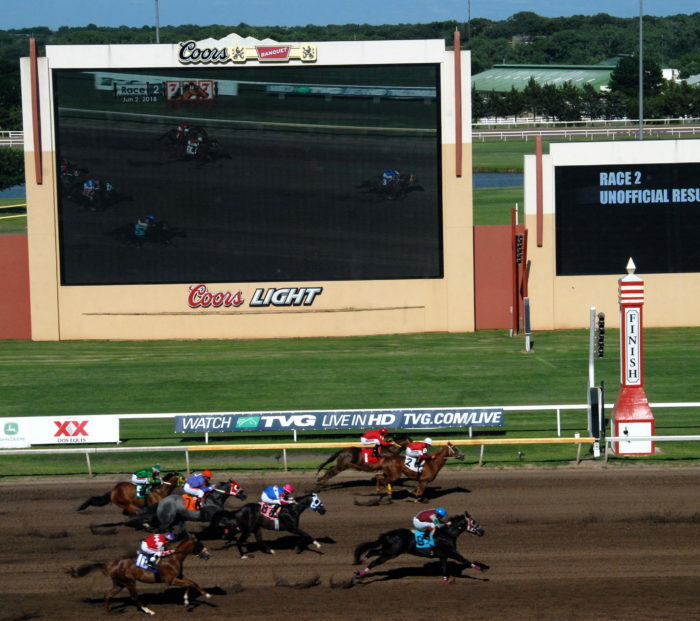 For the evening entertainment I chose the Remington Park Casino and Race Track (https://www.remingtonpark.com/dining/silks-restaurant/) for their end of season running of the quarter horse races. By reserving 6 weeks in advance I was able to secure tables at the finish line in the glass enclosed Silks restaurant with their large delicious entrees, one would not expect at a race track. By following the advice of the jumbo screen MC I placed a 2 dollar bet and won to the amount of $14. I quit while ahead. The casual yet elegant Sunday brunch was at the Oklahoma City Museum of Art Cafe, (https://www.opentable.com/museum-cafe?page=1) which always delivers the best of food and beverages. 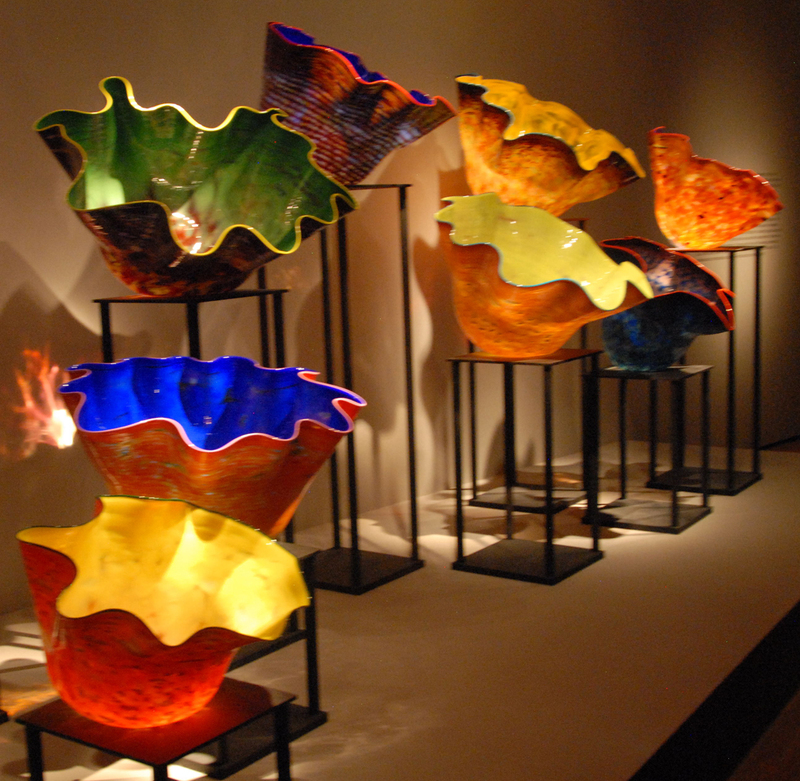 The upscale atmosphere was under samplings of the Dale Chihuly art glass, which is exhibited in more quantity in the museum permanent collection. It’s always a joy to tour the Museum, as I and some of my guests experienced. You may not be able to host in your house, but perhaps a community center or condo common place can be reserved for an evening cocktail party. Also you need not wait for a decade birthday, as the Holidays are approaching, or just a celebration gathering of your long time friends, showing them and they showing you their love.